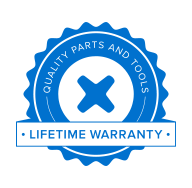 Replace a broken or damaged 5.0 inch HD Super AMOLED (720x1280) display in your 2015 Samsung Galaxy A5 with this part. Replace a dead or damaged EB-BA500ABE battery in a 2015 model Samsung Galaxy A5. Introduced in 2014, the Samsung Galaxy A5 has 2 GB RAM and 16 GB internal storage, with support for removable MicroSD cards of up to 64 GB, an aluminium unibody with chamfered metal edges, a 5-inch Super AMOLED HD display protected by Gorilla Glass 4, a 13 megapixel rear camera, and a new 5 megapixel camera for better detail capture.